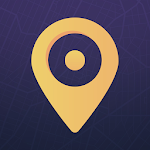 FindNow is the best application to share and find location! With its user-friendly interface, you can follow your family members, children or loved ones. You can look out their security, while knowing where your family are. Tracking them on the map, you’ll be sure that they’re safe. The only thing you need to do is to send follow requests to people you care about or accept theirs via Contacts. If you don’t want to use this feature, you can always block the follow requests that are sent to you. Also, to use the app with all functionality you and the loved one have to download the app. 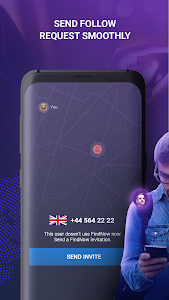 - You can track the locations of all the people in your circle at any time. 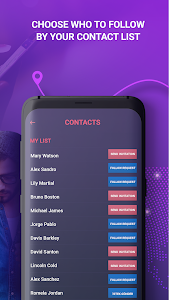 - You can search phone numbers on the app to send a following request. 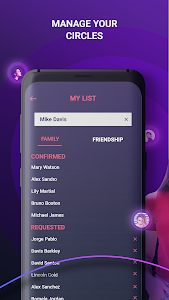 - You can add your loved ones in different groups and manage them. - FindNow use GPS feature to find location. - Always be safe: you can block your followers at any time. - Only premium members can create a user-list and follow people unlimitedly.